Understanding why employees leave a company is critical for it becoming an employer of choice. 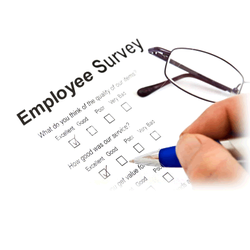 Exit surveys are used by an employer to get the feedback on why employees are leaving so that any problems or trends can be identified and possibly resolved. We not only help you design and execute employee and client satisfaction surveys but we also help you roll them out through our surveys platform and give you a detailed analysis report which gives you valuable information based on which you can take critical decisions. 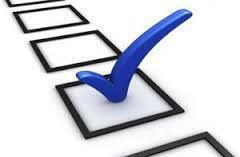 Our company is competent to offer Employees Satisfaction Studies to our customers. Our services are handled by industry known experts. Our services are highly well-liked in the market owing to their timely completed in effective way. Our customer can get this service at low rate from us. Issues our research covers include the current workplace situation, management styles/attitudes, internal communications, workplace atmosphere, corporate culture/vision and image. With the concept of Fun and Learn at Work we have a big platter of Employee Engagement activities which include, fun, soft skills, behavioural skills, knowledge, fitness, functional training and music and relaxation trainings too. we make them experience it as we believe experience gives biggest learnings. It is obvious, but high employee satisfaction levels reduce the rate of staff churn. G. R. S. Market Research Services Pvt. Ltd.
To serve satisfaction to all our esteemed clients by making them available the apex quality services to meet their exact business needs. - Facilities, supervisor, human resources & other aspects of the employee experience that truly affect their perception, loyalty & recommendation.